Today I’m wearing two polishes I bought in Germany. 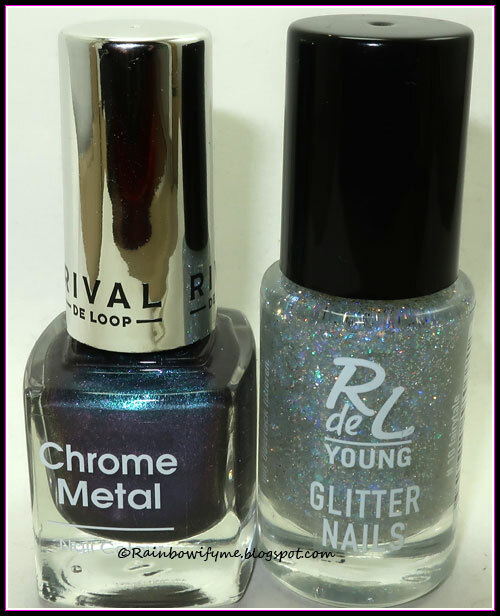 The base colour is #06 from Rival de Loop’s Chrome Metal collection. I actually first thought it was a topper but it isn’t. It works its magic in two easy coats – with no undies. The drying time is pretty good. 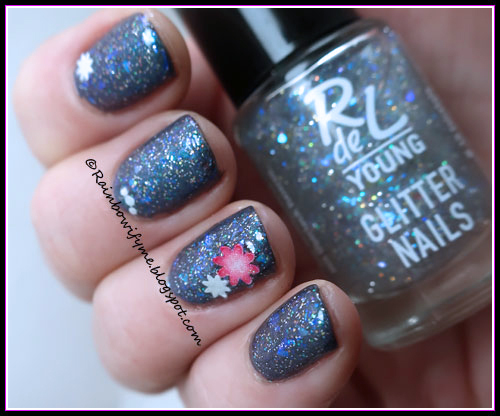 The topper is also from Rival de Loop, a gorgeous glitter topper with flakes. I used a single coat over the base colour. The drying time was pretty good. I stuck on a couple of flowers. The glue isn’t amazing unfortunately, so the red one kind of lost its grip. Never mind, it was pretty nonetheless. Isn’t that topper just pretty?! Here’s #06 on its own. 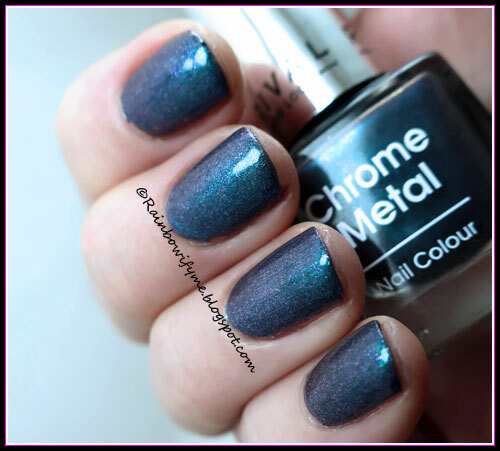 It’s way prettier on the nails than it is in the bottle, I love it when it turns out like that! Here’s a photo of the polishes I used today. I usually check out Rival de Loop’s displays when I visit Germany because they make really nice stuff.